The Supreme Court’s five-to-four decision in McCutcheon v. FEC reassured some supporters of campaign finance regulation who feared that the Court might use a case attacking the aggregate limits on campaign financing set by federal law to effectively overturn all contribution limits, including the limits on how much can be contributed to an individual candidate. The Court did not do that. It did not change the constitutional double standard, created way back in Buckley v. Valeo, under which the Court applies stricter First Amendment scrutiny to expenditure limits than it does to contribution limits. Nor did it directly question the validity of limits on donations to the campaigns of individual candidates, noting that the Court has repeatedly upheld such limits based on the need to prevent corruption or the appearance of corruption. The Court even reaffirmed the constitutional validity of requiring full disclosure of campaign contributions and expenditures. So, although the Court may someday take the additional step of invalidating limits on contributions to individual candidates, McCutcheon left that battle for another day. What McCutcheon did do is to provide the Court’s blessing to massive across-the-board donations to political parties and their candidates, even when those donations are directly tied to the provision of extraordinary access to party leaders in Congress. It did that by narrowing the focus of permissible constitutional justifications to quid pro quo deals between a donor and an individual candidate – essentially out-and-out bribery. Only such transactions, or the appearance of such transactions (whatever that means), can justify any prophylactic limits on contributions to candidates or party committees. A corollary of that limitation is that there can be no constitutional justification for preventing a rich donor from giving the maximum permissible donation to all of a party’s candidates for Congress, totaling well over $2 million, along with additional millions in contributions to all of a party’s national and state-level campaign committees. As long as each donation stays within the limits applicable to it, the Court said, then no individual officeholder is likely to be corrupted. And there remains no justification for regulation even if all of these donations are packaged so that a single multi-member check is handed to a senior member of Congress, and even if the check buys the donor the right to meet and socialize with the party’s senior leadership regularly. Imagine the Major Donors Club of the Republican Party, whose members get extraordinary access to Republicans in Congress, even including attending some of the meetings and retreats of the House or Senate Republican Caucus. The Court addressed this troubling prospect only briefly, after dwelling at much greater length on the argument that the aggregate limits can be justified as preventing circumvention of the individual “base” limits. Chief Justice John Roberts, writing for the Court, acknowledged that “When donors furnish widely distributed support within all applicable base limits, all members of the party or supporters of the cause may benefit, and the leaders of the party or cause may feel particular gratitude.” But rather than finding this situation troubling, he lauded such giving as a natural and acceptable aspect of the political party system, “in which party members join together to further common political beliefs, and citizens can choose to support a party because they share some, most, or all of those beliefs.” He rejected the notion that concerns about the access and influence that such a system can generate justify limiting such spending. As Justice Stephen Breyer pointed out in dissent, there is no way to square the Court’s blessing of multi-million-dollar checks being passed to a senior leader of Congress for later disbursal with the Court’s holding in McConnell v. FEC that limits on “soft money” donations to political parties are justified as a means to prevent corruption and the appearance of corruption. Such donations, by their very nature, do not benefit just one candidate. Nor could they legally be earmarked to help one candidate. But the McConnell Court nevertheless held that limits on soft money donations are justified because large donations of this type could buy individuals excessive influence on governmental decision-making. In so doing, as Justice Breyer also pointed out, the Court had previously relied on a conception of corruption broader than “simple cash for votes corruption,” extending to the prevention of purchasing excessive (even if non-specific) influence over our democratic decision-making. And he tied this ruling to a long history of concern over a kind of corruption broader and more insidious than bribery per se – the subversion of the political process that occurs when a small class of donors exercises large amounts of influence over political leaders and (just as harmfully) non-wealthy citizens come to believe that the political system has become unresponsive to them and their concerns. I mean, if gratitude is corruption, you know, don’t those independent expenditures evoke gratitude? And is — is not the evil of big money — 3.2 million, an individual can give that to an independent PAC and spend it, right? . . . It’s not that we’re stopping people from spending big money on politics. The response, if there is one, is that a multi-million-dollar gift to a party, to be disbursed among hundreds of candidates and committees, is likely to produce more gratitude, access, and influence than independent expenditures. But there is some force to the notion that the governmental interest in limiting aggregate contributions is less persuasive in a world where unlimited independent expenditures are permitted. In any event, the Court remains badly divided between Justices who read the First Amendment to require a hands-off approach to all but the most quid pro quo forms of corruption, judging every prophylactic regulation of contributions on the basis of whether it is closely tied to that narrow interest, and Justices who believe the First Amendment allows, indeed encourages, regulation of contributions and expenditures that they believe distort the marketplace of ideas in the campaign realm. The two competing views about the best way to promote “true” freedom of expression have been at war for many years, at least since the 1970s began the modern era of campaign finance regulation. That battle does not seem likely to be resolved any time soon. Paul M. Smith is a partner in Jenner & Block’s Washington, DC office, where he chairs the firm’s Appellate & Supreme Court Practice. 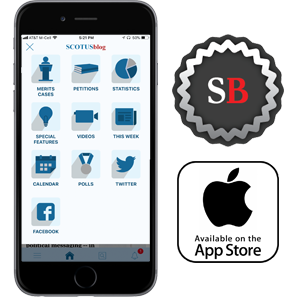 He has argued fifteen Supreme Court cases, including Lawrence v. Texas and a number of First Amendment and voting rights cases.. He graduated from Amherst and Yale Law School and clerked for Supreme Court Justice Lewis F. Powell Jr. 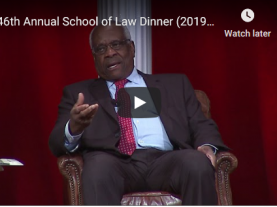 In 2010, he received the Thurgood Marshall Award from the ABA Section of Individual Rights and Responsibilities for work promoting civil rights and civil liberties. He and his colleagues at Jenner authored an amicus brief in McCutcheon on behalf of Democratic Members of the House of Representatives, which was cited in Justice Stephen Breyer’s dissent.